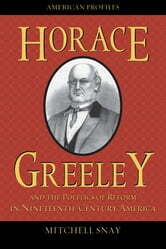 Horace Greeley (1811–1872) was a major figure in nineteenth century American history. 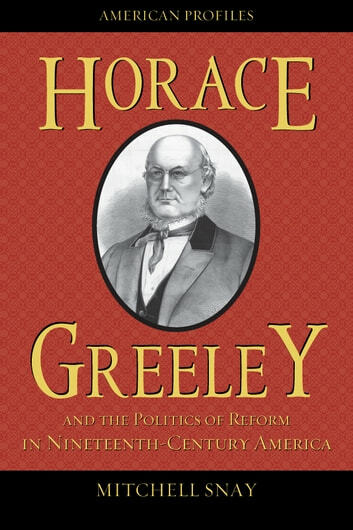 As a newspaper editor, politician, and reformer, Greeley was involved with the major events and trends of the era. He was the influential editor of the New York Tribune from 1841 until his death and was instrumental in the rise of the Whig and Republican parties. Snay's biography places Greeley in his historical context—considering the ways that he shaped and was influenced by the rise of the Jacksonian party system, the varieties of antebellum reform, the evolution of urban class relations, and the politics of slavery and emancipation.